Earth Defense Force is an odd series. The aggressively and proudly budget games arguably mix camp and compulsion in ways very few games can manage. At one point in the past, developer Sandlot and publisher D3 tried to tune the game more to western fans, but eventually went back to tried-and-true Earth Defense Force up through the recent Earth Defense Force 5. Now D3 is taking another stab at a more serious Earth Defense Force game with Iron Rain, which they've announced will be releasing worldwide on April 11. The game, developed by WWE 2K studio Yuke's, is an attempt at a higher budget and higher fidelity Earth Defense Force that takes itself a little more seriously. It might be better to just watch the new trailer to see what it's all about. It will be interesting to see how Iron Rain compares to other EDF games. 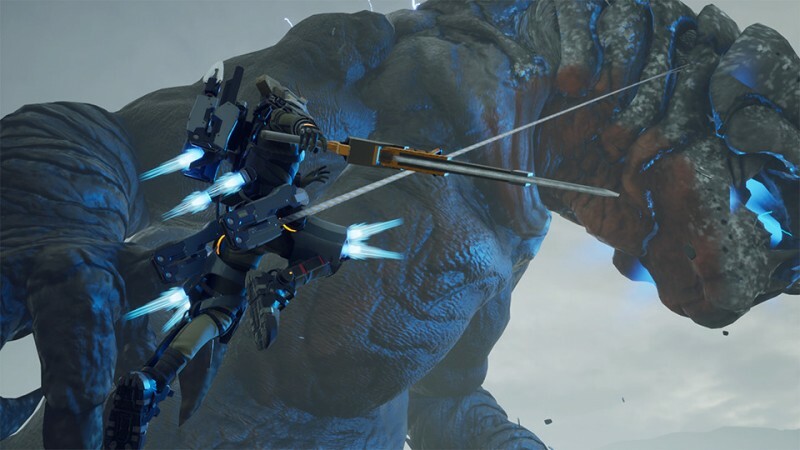 The changes might just be what the series needs, as our review of Earth Defense Force 5 argues that the series is growing a little stale over the years. We'll find out for sure when Earth Defense Force: Iron Rain releases on PlayStation 4 on April 11.